The services provided by Armenians to Nazi Germany are not secret to anybody and sufficient evidence that prove their involvement in killing of millions of innocent people have been reflected in the archives of that time. The sympathy in Germany’s political elite toward Armenians appeared in the 1930s and became stronger in 1933, after the Nazis came to power. Interestingly, Adolf Hitler himself personally showed interest in Armenians. In his speeches, he called the Armenians the people of “Aryan” origin and the special members of this race. Because of that love, the Armenian magazines and newspapers published in 1936 instilled love for Hitler and praised him. According to some sources, Adolf Hitler had accused Turkey of "Armenian genocide" and showed support for Armenians while issuing order regarding the invasion of Poland during a meeting with generals on August 22, 1939 in Obersalzberg, Bavaria. Thus, the 1930s and 1945s are the years when Nazi Germany and anti-Semitic Armenians were allies. In 1933, Germany’s Minister of Propaganda Joseph Goebbels, as well as Alfred Rosenberg stated in their speeches that Armenians were descended from Aryan race. As a logical consequence of these speeches, researcher A.Abeghian was instructed to establish a commission in Germany and study the Armenian anthropology. Thus, Paul Rohrbach and Artashes Abeghian published a book in 1934 called ‘Armenian-Aryan’ in collaboration with Nazi intellectuals which “strove to prove that Armenians belong to the Aryan race. After that, dozens of other books promoting Armenian-Nazi cooperation were published. One of the famous Armenian battalions fighting for the Third Reich is the 812th battalion which was formed by Alfred Muradyan and Armik Jamalian. The latter was the son of former Armenian Foreign Minister Arshak Jamalian. Arshak Jamalian was a member of Transcaucasian Seim, and also the Armenian National Council’s delegation sent to Berlin in 1918. 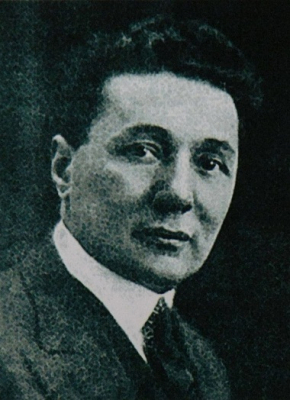 He worked as Armenia's ambassador to Tbilisi and was appointed the Minister of Transport in 1920. The treaty concluded between the Russian Soviet Federative Socialist Republic (RSFSR) and Armenia on August 10, 1920 in Tbilisi was signed by him. It once again shows how great the love of the Armenian political elite was for Hitler. Thanks to the son of the Armenian Foreign Minister, 20,000 Armenians joined the 812th battalion. They were trained by SS and German security forces. 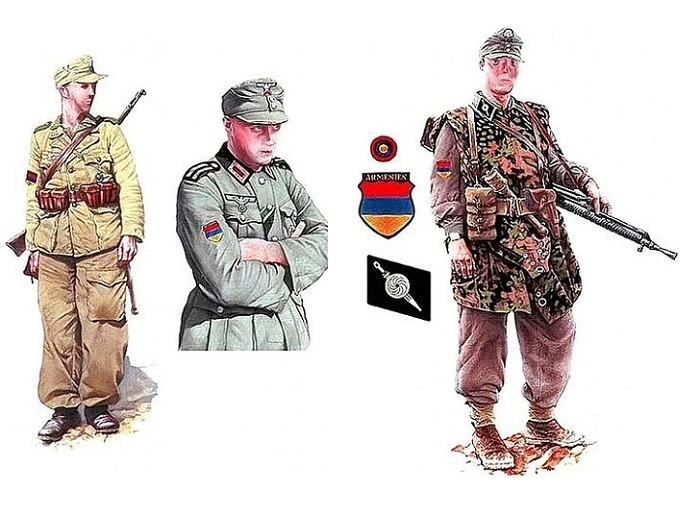 Armenian legions mainly served in Crimea, North Caucasus, Poland and the Netherlands. Anne Frank kept her diary in the years when the Armenian legion held operations against the Jews in the Netherlands. By 1940, special legions consisting of about 100,000 Armenians were formed in the army of the Third Reich. There are historical records noting that faithful servant of the Nazis, Armenian General Dro (he was nicknamed 'the Jew hunter') and Armenian writer Garo Gevorkian met in December, 1942 with Heinrich Himmler, Adolf Hitler’s closest comrade in arms, one of the main military and political figures of the Third Reich, the SS Reichsführer, as well as the one who was accused of numerous military crimes and genocide. At that meeting, Himmler was presented the book titled “Death Walk of the Armenian People” written by Lepsius. Dro’s cruelty and the lack of the sense of compassion in him while murdering people caused great interest in the Nazi military criminals, as well as Himmler. With the call of Heinrich Himmler and general Dro, about 30,000 Armenians joined the army of the Third Reich for Hitler's Nazi ideology. There are enough historical facts proving Armenians’ services to Hitler's Germany. One of such facts was reflected in the secret notes of the British Ambassador to Turkey sent to London in 1944. He mentioned that the Armenians in Turkey were then fully ready to serve German intelligence.